MANERVA MALINDA ATTAWAY was born b. January 12, 1888, in White Rock, McLennan County, TX. She died July 17, 1978 in Brady, McCulloch County, TX. She was the fifth child born to John W. Attaway and Matilda Virginia Northcutt. 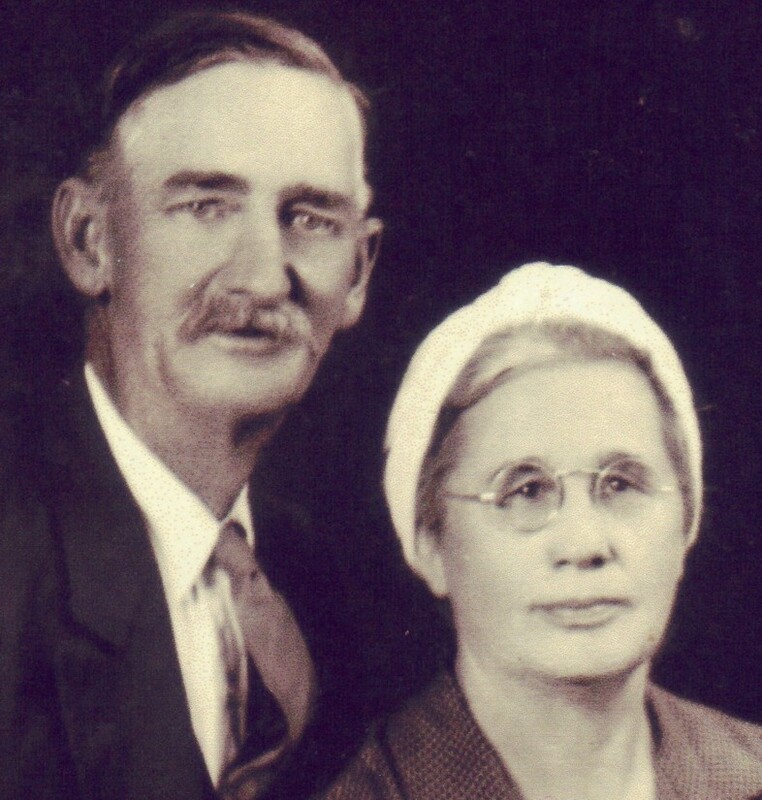 She married JAMES ARTHUR MCCOY December 30, 1910 in McCulloch County, TX. He was the son of Anderson Farquahar McCoy and Alie Frances Kissiah. He was born July 10, 1887 in Burnett, Burnett County, TX, and died January 30, 1955 in Brady, McCulloch County, TX. 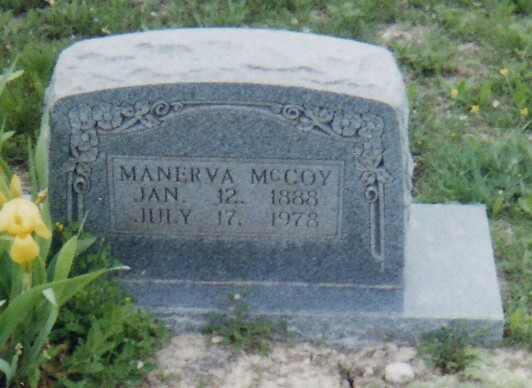 Both of them are buried in Calf Creek Cemetery, Calf Creek. McCulloch County, TX. JOHN COLTON MCCOY b. March 06, 1912, Calf Creek, McCulloch County, TX; d. January 14, 1974, Eldorado, Schleicher County, TX. ; m. Leona Holloway January 4, 1935. JUANITA MCCOY b. October 01, 1913, Calf Creek, McCulloch County, TX; m. HODSON ROBBINS, October 21, 1933; b. September 24, 1909, Kerrville, Kerr County, TX. HAROLD ARTHUR MCCOY b. October 01, 1915, Calf Creek, McCulloch County, TX; d. July 27, 1916, Calf Creek, McCulloch County, TX. JAMES ATTAWAY MCCOY b. October 26, 1917, Eldorado, Schleicher County, TX; m. JUNE RELEFORD, January 02, 1937; b. June 19, 1918, Rockwood, Coleman County, TX. UDELL MCCOY b. November 26, 1920, Melvin, McCulloch County, TX; m. ROY TYRNER, February 06, 1951; b. September 07, 1915, Lubbock, Lubbock County, TX. JESSE GRANVILLE MCCOY b. August 25, 1923, Calf Creek, McCulloch County, TX; d. November 30, 1944, Germany; m. OLETA SHARP, December 19, 1942; b. March 04, 1925, Gouldbusk, Coleman County, TX. RAYMOND ANDERSON MCCOY b. May 20, 1925, Melvin, McCulloch County, TX; d. June 29, 1958, Abilene, Taylor County, TX; m. RUTH Howard, November 11, 1948; b. April 04, 1924, Merkel, Taylor County, TX, and died March 8, 2011. BILLY GORDON MCCOY b. February 05, 1929.